Discussion in 'Florida' started by mr_bock, May 29, 2018. I found this posted on the Rennlist forum site. 1st Saturday of each month, 8 am to 11 am at the Sam's Club parking lot in the Lake Nona Landing Plaza. I will be going for my first time this Saturday, June 2nd. 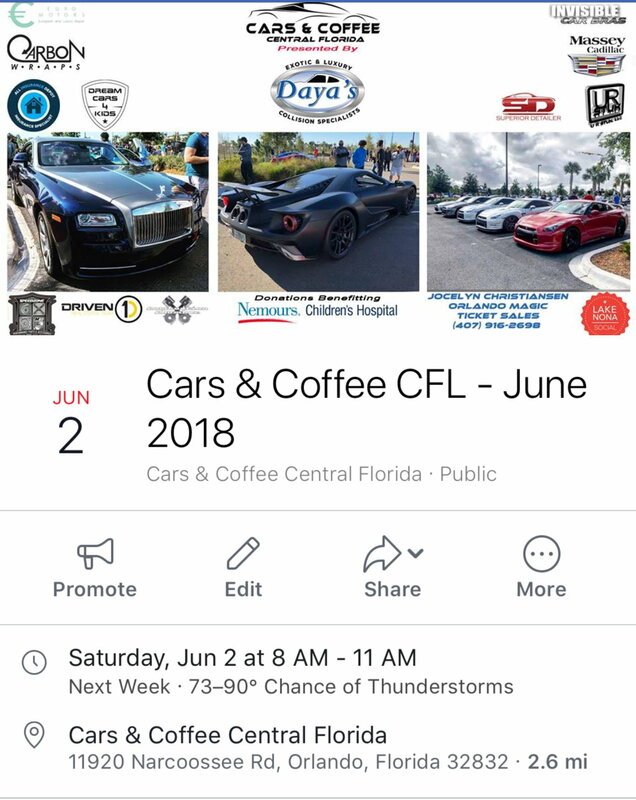 Cars & Coffee in Central Florida 1st Saturday each month 8-11am. Dedicated Porsche parking section. HI George, did you make it to this C&C? How was it? I did go to this event and I am glad I did! It was well organized with areas for different makes of cars. There was a good turnout of many different cars. Easy to get in and out. I was told this has been going on for a couple of years. Some more pix (seems F-Chat has a 10 pix limit per reply). I’ve been several times. It’s a great event.